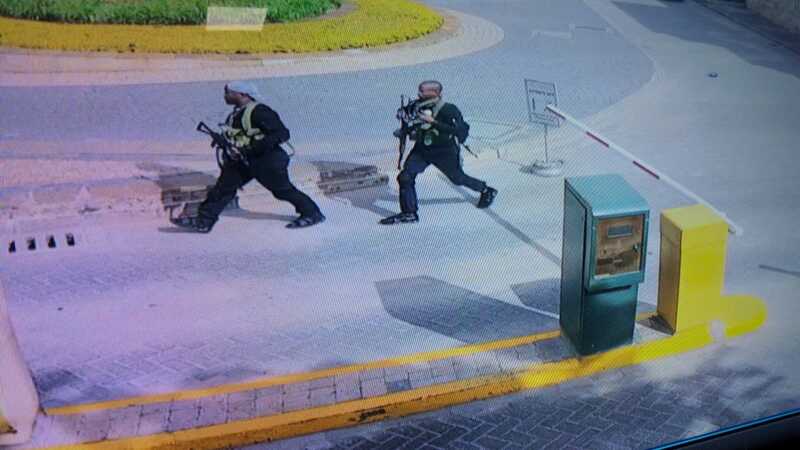 Wednesday January 16, 2019- A waiter, who works at the dusitD2 hotel located at the 14 Riverside Drive, has recounted how the attackers first came to the hotel as customers. Speaking to the media, the waiter, who was part of the people who were rescued by multi-agency security team effort on Tuesday night, said the attackers had been to the hotel two days before the attack and he had served them coffee. According to him, he remembers one of the attackers very well because he had a huge scar on his arm. The waiter further revealed that attackers spared him but killed six of his friends. “I knew one of them because he had a big scar on one of his hands,” said the waiter. “I saw them. They shot six of my friends, four didn’t die but two succumbed.” he revealed.